A contemporary of the more famous Alhambra, The Moorish Castle Complex (The Tower of Homage and The Gate House) proudly bears the scars of many sieges it has withstood over the centuries. 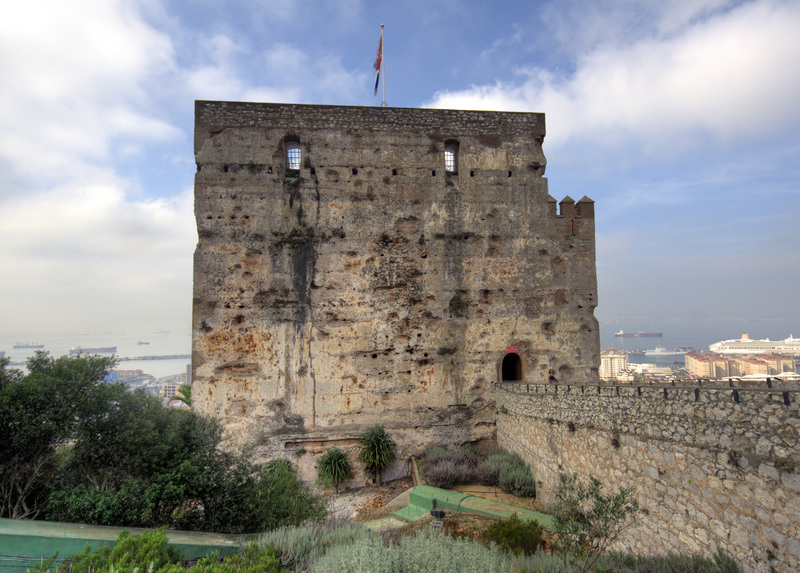 The original fortifications were built around 1160, but the castle's most prominent feature, its main tower, as well as its walls, gatehouse, and bastions date back to the 14th century, or the second Moorish period. You can easily observe the structure of the castle and absorb the medieval atmosphere from the outside. Entering the tower doesn't add much in the way of illuminating information: no exhibits, just some historical facts you can find out otherwise if you don't feel like paying the entrance fee. 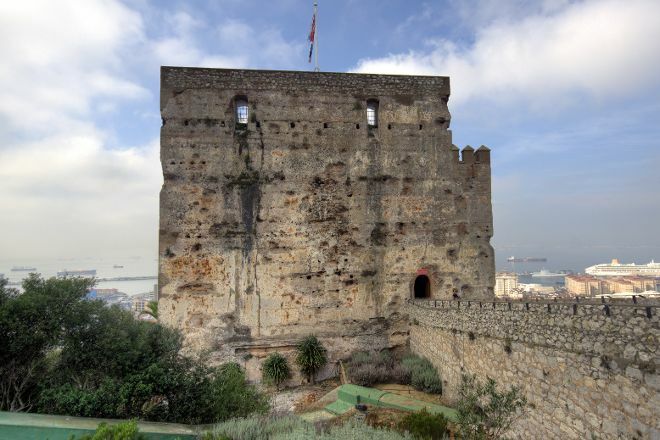 A visit to The Moorish Castle Complex (The Tower of Homage and The Gate House) represents just the start of the adventure when you use our Gibraltar online vacation planner to plot your vacation. On the one hand, Gibraltar and its history very interesting. On the other hand the topography of cities and terrain (cliffs) creates a number of conditions. Here's to this castle on a rock just don't come. And with our baby-it was torment. On heat, stairs, and if not the stairs kewl gradients. And up and up. And most importantly, price entertainment vysochennaja, even in pounds! We could not afford to kid little creep up the Hill even higher, to explore the catacombs and walk on the nature trail to the macaque and the funicular, and Yele Yele was granted to inspect this old tower. The tower is essentially nothing there. Just a small garden, parapet, Cannon and inside the 2 floors and a donjon on the roof with a great view of the surroundings. All this around can be seen from viewing platforms, so we throw away money. It was not worth it. With children I don't exactly recommend with young to be here. From 10 years of age and older, and even better with excursion by minibus, which carry out there everywhere people. It is excellent to take a walk around this place, it has spectacular views of the whole city and the sea, it is good to come with the family. Beautiful place; still cannot get over the fact that the main road, which cross the main landing still at the airport, has to close each time a plane lands or take off. But they are doing the best with the limited land they have. Still, a great idea. Very cool history, and nice short selfguided walking tour. The inside smelled a lot like urine though. Very interesting but it is very small and not so much to see, but worth checking out anyways. Every day, we help thousands of travelers plan great vacations. Here are some tips on how to use your Listing Page to attract more travelers to your business - The Moorish Castle Complex (The Tower of Homage and The Gate House). Promote your permanent link - https://www.inspirock.com/gibraltar/the-moorish-castle-complex-the-tower-of-homage-and-the-gate-house-a120755373 - on your website, your blog, and social media. When a traveler builds a plan from this page, the itinerary automatically includes The Moorish Castle Complex (The Tower of Homage and The Gate House). This is a great way for travelers looking for a great vacation in your city or country to also experience The Moorish Castle Complex (The Tower of Homage and The Gate House). Promoting your link also lets your audience know that you are featured on a rapidly growing travel site. In addition, the more this page is used, the more we will promote The Moorish Castle Complex (The Tower of Homage and The Gate House) to other Inspirock users. For best results, use the customized Trip Planning Widget for The Moorish Castle Complex (The Tower of Homage and The Gate House) on your website. It has all the advantages mentioned above, plus users to your site can conveniently access it directly on your site. Visitors to your site will appreciate you offering them help with planning their vacation. Setting this up takes just a few minutes - Click here for instructions.